I, along with many IA parents, are concerned about how we can include the culture of our children into their daily lives. So I was thrilled to read about this very topic from the perspective of a woman, who was adopted as an infant from Taiwan. Here is the article for anyone else who may be interested. Now, what does this article have to do with Tupperware? Nothing really. 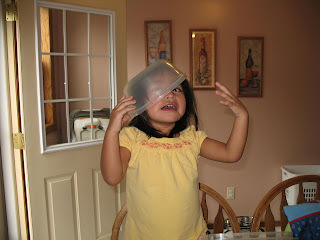 I just wanted to share the newest use of Tupperware in our house. I just read that article yesterday and really enjoyed it. I thought it was an interesting perspective. We are still trying to figure out where we fit in all of it. I love the pictures! debbie.. so funny but i read the article and then thought "OMG… now i'm pushing Guatemala on Sergio" – too funny, but yes definitely a different perspective in the article. I guess we won't stop our GAFE and GOT trips – i just enjoy going away and seeing the guatemalan blessing.